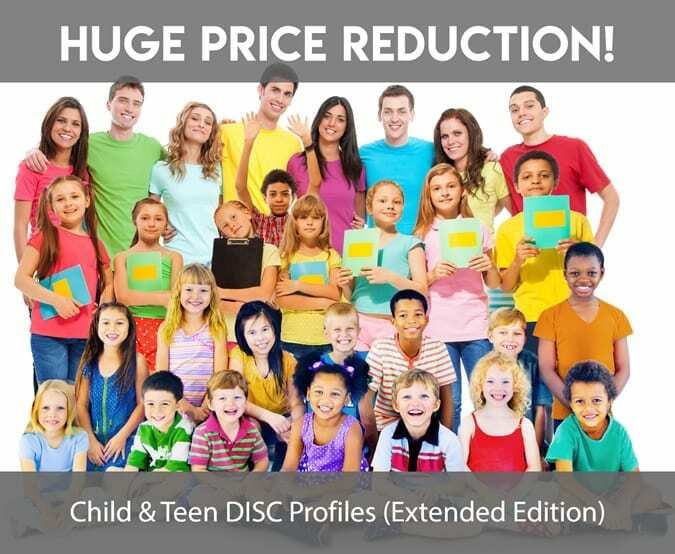 Huge 33% Price Reduction Announced for the Child EXTENDED Version! 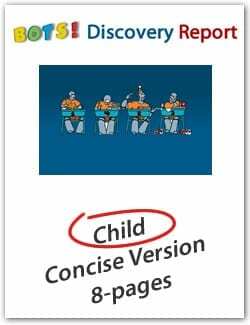 Discovery Report DISC profiles can help you to better understand your child and it can also help your child to better understand himself or herself. Our personality profiles for children are designed to bring everyone together. The full-length extended Discovery Report DISC profile has 3 different sections –one for the child to read, one for the parents and one for the child’s teachers to read. The online DISC assessment is designed for children ages 5-12. The assessment is based on fun pictures with scenes that include characters that we call “BOTs,” because they look like robots. You can go through each of the scenes with your child and he or she will choose BOT characters in each scene with which they can most relate or least relate. The online assessment takes about 25 minutes with older children, and a little longer with younger children. Don’t worry – the DISC assessment is easy and fun. You can even take a break during the assessment if you want to step away from the computer with a younger child to break up the time into a couple of short sessions.